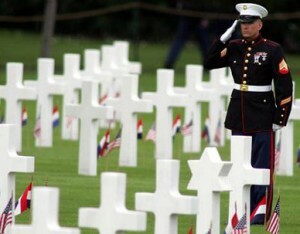 Today is Memorial Day in the United States. It is a day where we stop and remember those of our fellow citizens who have died in war, fighting for our country and our values. Every country has this tradition, and we applaud all people who value the contributions of their friends, family members and community members who chose to fight, and sacrificed themselves with what President Abraham Lincoln called “the last full measure of devotion” in his speech honoring the fallen soldiers of the battle of Gettysburg in 1863. We also understand that Memorial Day has become the traditional “first day of summer” in the U.S., so we also encourage you to add joy to your celebrations today, as that would be the way our fallen soldiers would prefer you celebrate their memory! We look forward to talking to many of you in the near future, but today, take the time to remember, and celebrate the memories of those you honor. Thank you. Leadership Starts with Engagement When Should You Micromanage Employees?